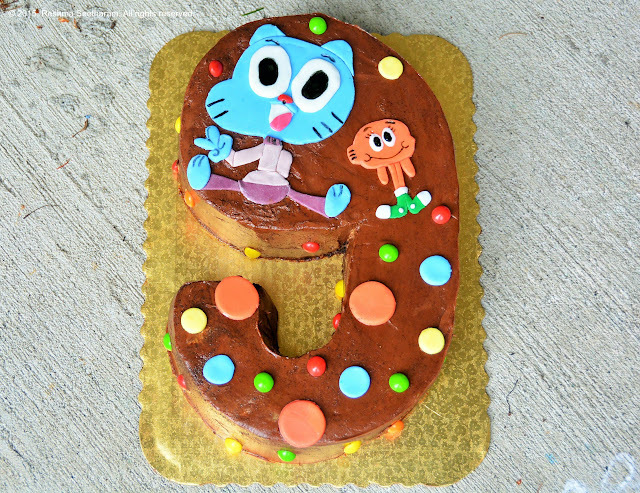 A birthday cake for my 9 year old, who loved watching Gumball and Darwin on cartoon network, over the summer. In fact, the brothers even named themselves Gumball and Darwin. This was a quick and fun project I put together in a couple of hours. The beauty of 2D fondant creations is that it can be made fairly quickly. Today morning was a mad rush. 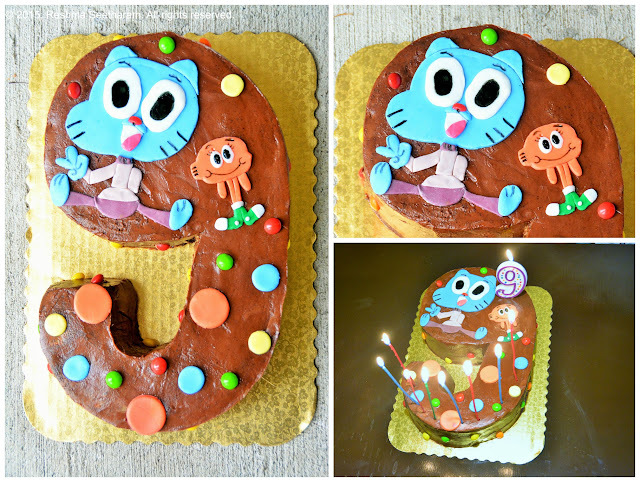 The kids had their first day of school, and it was also my son's 9th birthday. Time sure flies. He is eager to grow up and drive already, and I am dreading every day of that.